This is just a shortie to show that I’m alive. Dominion Stores. Rochesterville and Mount Sherwood residents were likely more than happy to have a location to purchase groceries. What’s somewhat interesting is that an area of town that’s something of a food desert today1Though the area lacks the presence of a large grocery store, there are a few smaller stores that carry produce. Additionally, there are two community gardens nearby., there were at one point a large number of small groceterias. Lingerie. A small factory operated here assembling lingerie at what were advertised as rock-bottom prices. Given the offshoring and manufacturing revolution that began to take place 20-30 following, that bottom wasn’t so bottom. 65 years ago, it was a relatively expensive to purchase a “dainty negligee”. This is an aspect to local social history that could use a little more coverage. Cam Grant Electric. 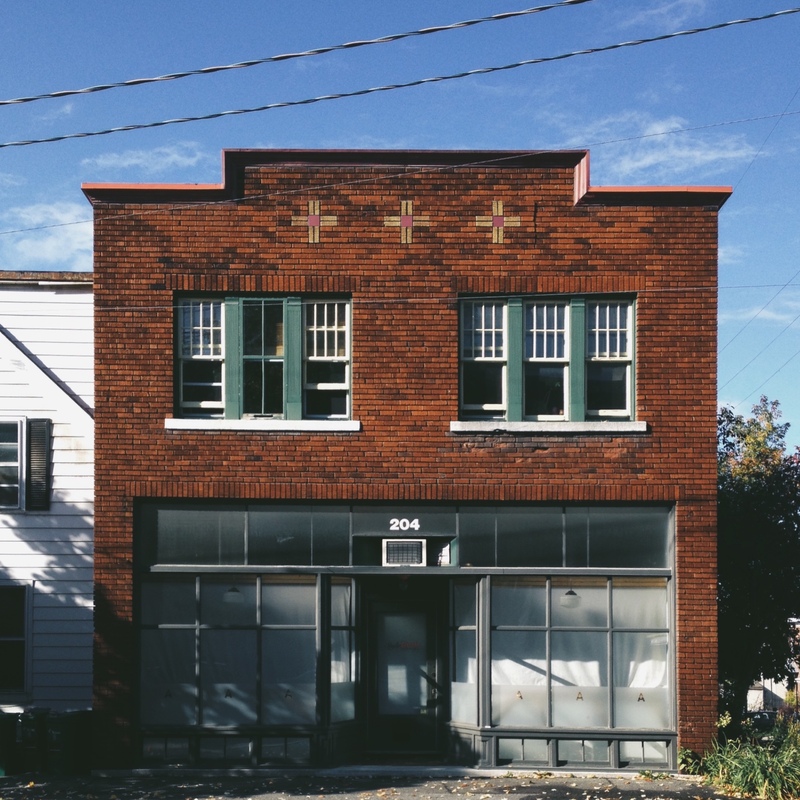 During the later 1950s and 1960s, many of Ottawa’s industrial and commercial properties were transformed. As more manufacturing became concentrated in cities like Montreal or Toronto2While these were always the dominant centres, in Ontario in particular, the manufacturing industry was traditionally more spread out across the province with more local concerns., such properties took on a more “heavy retail” feel. Today, we’d see more of these operations located in industrial parks than we would in “workers'” or low-income neighbourhoods. Today it’s occupied by StyleHaus, an interior designer. 1. ↥ Though the area lacks the presence of a large grocery store, there are a few smaller stores that carry produce. Additionally, there are two community gardens nearby. 2. ↥ While these were always the dominant centres, in Ontario in particular, the manufacturing industry was traditionally more spread out across the province with more local concerns. BYW, I have a free (ipad) app called Photo Editor that, among other things, lets me tilt pictures. It’s perfect for leveling the horizon or straightening buildings. Thanks Leona! I do have an app as well to do that (Skrwt), and for some reason I uploaded a non-corrected version. I think the change in the way pictures are handled in iOS 8 “encouraged” that 🙂 I’ll replace soon! I love old buildings, and I especially love seeing them resurrected and brought back to life. When you get someone talented with the right to make it look good, it’s amazing every time. This photo was interesting to me for the brick work and old style store front. Absolutely agreed! Some due care and restoration can really make the original intentions stand out once more. I lived at 187 Lebreton in the 60s. It used to be a store that served the entire neighbourhood. I can remember buying candy at that story as a 10 year old. Thank-you for sharing the memories! Confectioneries were sure important to the neighbourhood.